We are a boys’ school, focused solely on the needs of boys. We are international, with students from nearly 50 countries in our student body. We teach and nurture values to create compassionate global citizens. We see our students accepted into some of the best universities in the world. We have a safe and modern school campus with well-equipped classrooms and first-rate athletic facilities. We offer excellent extra-curricular programs in athletics, fine arts, the performing arts, and other areas. St. Mary’s International School was founded in 1954. It moved to its current location in Setagaya ward in 1971. At St. Mary’s, we nurture the intellectual, physical, emotional and social development of each student. Our challenging array of core curricular and extra-curricular programs is designed to enable each student to achieve excellence and success. We provide a positive and safe learning environment, where a spirit of cooperation, friendship and mutual respect helps to maximize individual achievement. The St. Mary’s experience goes from kindergarten to grade 12. We offer the International Baccalaureate course of studies (www.ibo.org), a globally recognized and rigorous pre-university program designed to give students the competitive edge they need for both university studies and their later careers. St. Mary’s is fully accredited by two agencies that provide standards and procedures for school improvement. 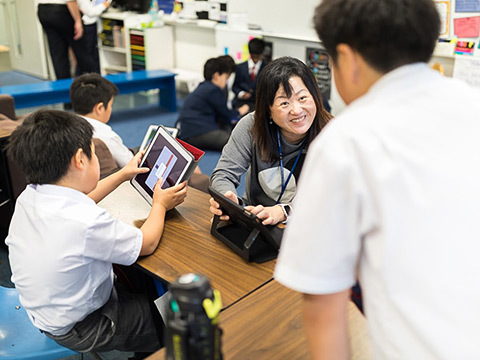 St. Mary’s is fully accredited by two agencies that provide standards and procedures for school improvement: the Western Association of Schools and Colleges (WASC) and the Council of International Schools (CIS). 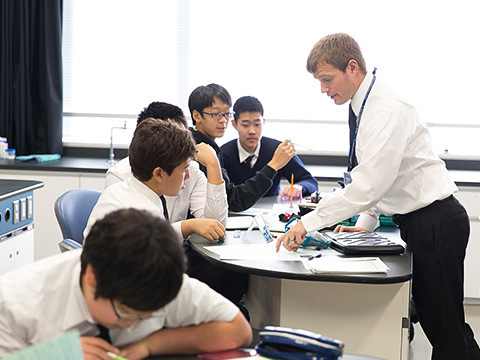 WASC is one of six regional associations that accredit public and private schools, colleges and universities in the United States and East Asia. CIS is a membership organization of international schools around the world. Each five-year review helps to ensure that St. Mary’s continues to provide quality educational experiences for all students. 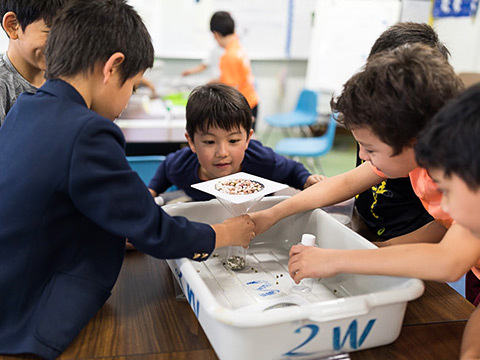 The accreditation process assures a school community that a school’s mission is appropriate and being accomplished through a viable education program. It validates the integrity of a school’s program and student transcripts. The accreditation process also encourages the school to reflect on its strengths, as well as areas for improvement, then establishes and implements plans to help support high levels of achievement by students. Ongoing improvements to teaching and learning are made through peer visitor evaluations, regular self-assessment, planning, and implementation.